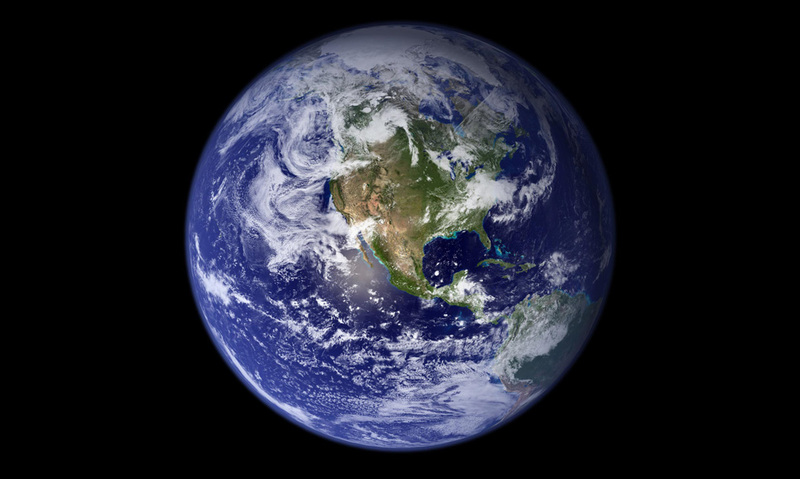 The most detailed true-color image of the entire Earth created to date. Using a collection of satellite-based observations, scientists and visualizers stitched together months of observations of the land surface, oceans, sea ice, and clouds into a seamless, true-color mosaic of every square kilometer of our planet. Much of the information contained in this image came from a single remote-sensing device-NASA’s Moderate Resolution Imaging Spectroradiometer, or MODIS. Flying over 700 km above the Earth onboard the Terra satellite. (NASA/Goddard Space Flight Center) Another Earth day has come to pass. The Boston Globe blog The Big Picture has an interesting post with photos taken around the planet leading off with this beautiful picture. This entry was posted on Friday, April 23rd, 2010 at 12:40 pm	and is filed under PLACES and tagged with Seattle Photographer. You can follow any responses to this entry through the RSS 2.0 feed.